In his State of the Union Address in late 2012, EU Commission President José Manuel Barroso told assembled MEPs that his vision for the future of the continent was not a “superstate”, but a “federation of nation states” working together for a common cause. In January of this year, a very different vision was put forwards by the British Prime Minister, David Cameron, who called for a more “flexible” Union, with certain powers flowing back to the Member States. German Chancellor Angela Merkel, on the other hand, suggested her own vision for the future of the EU in an interview last year with five leading European newspapers, predicting a gradual evolution towards “political union”, with the EU Commission serving as the “government” of Europe. Do you believe that EU leaders have a vision for Europe? And is that vision shared by ordinary Europeans? Here at Debating Europe, we’ve been asking EU leaders exactly what sort of long-term vision they have for the Union, using the questions you’ve sent us. We started last year, when we spoke to caretaker Italian Prime Minister Mario Monti. We asked Prime Minister Monti to respond to a question from Lluis from Barcelona, who asked him where he saw the EU in 10 years time. More recently, we had a question sent in from Sakis, which we took to European Council President Herman Van Rompuy (who belongs to the centre-right European People’s Party). Sakis also asked Van Rompuy how he saw Europe in 10 years time. Earlier this month, we also took Sakis’ question to Czech Prime Minister, Petr Nečas, who leads the Civic Democratic Party, part of the European Conservatives and Reformists group in the European Parliament. How would the Prime Minister of a newer EU Member State see the future of the EU? The European Union is a long-term project of key importance to each of its Member States. The Czech Republic supports that, in years to come, the EU will remain open for more countries to join if they are ready and willing to do so. As an EU Member State, we see the benefit of belonging to a community that treasures respect for fundamental freedoms, rule of law and shares common values. The EU also has great economic potential as the world’s largest single market which I believe we shall fully exploit in the future. Finally, we also wanted to get a vision of the future of Europe that did not include the EU. 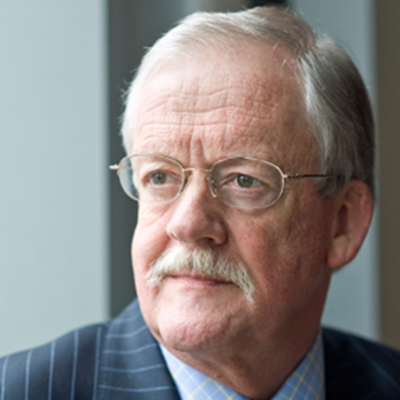 We spoke to Roger Helmer MEP, a member of the UK Independence Party (part of the Europe of Freedom and Democracy group in the European Parliament). We had a video question sent in from Franziska from Germany, who asked what sort of Europe he would like his children and grandchildren to grow up in. How would Roger Helmer respond? I don’t focus my attention on what sort of Europe I want them to grow up in, I focus my attention on what sort of Britain I want them to grow up in. But let’s answer the question as it’s stated: the sort of Europe in which I would feel comfortable would be a Europe which was a free-trade area, in which independent, democratic nations cooperated together. So, I want voluntary intergovernmental cooperation, and I want free-trade. That is the sort of Europe that Britain thought it was voting for back in 1975, that was the common market we thought we were joining, and that is the environment in which I think most British people would be comfortable. What do YOU think? Do you believe that EU leaders have a vision for Europe? Is that vision shared by ordinary Europeans? What sort of Europe would you like your children and grandchildren to grow up in? Let us know your thoughts and comments, and we’ll take them to policy-makers and experts for their reactions. 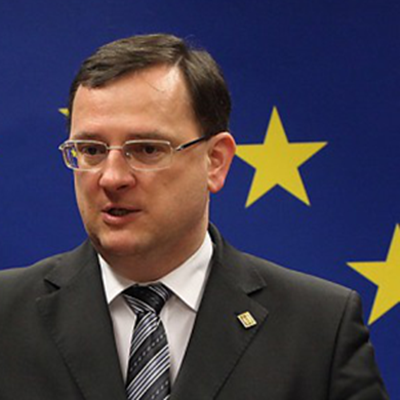 Future of EMU: Democratic control needs to match the pace of reforms. We don’t need EU austerity, but EU social justice! Suriye?deki i� sava?tan iki milyon �ocu?un etkilendi?ini a�?klayan UNICEF, ?Ay sonu �al??malar?m?z? durdurabiliriz. Bir nesil kayboluyor? uyar?s? yapt? Suriye?de iki y?l? geride b?rakan ve 70 binden fazla insan?n hayat?na mal olan i� sava?ta en b�y�k darbelerden birini �ocuklar ald?. �ocuklara y�nelik yard?m �al? ?malar?n?n ba??n? �eken Birle?mi? Milletler Uluslararas? �ocuklara Yard?m Fonu (UNICEF) ise Suriyeli �ocuklar i�in alarm verdi. �lke i�indeki ve d?? ?ndaki s???nmac? �ocuk neslinin tamamen kaybolma tehlikesiyle kar?? kar? ?ya oldu?unu a�?klad?. UNICEF, i� sava? ?n ikinci y?l? nedeniyle yay?mlad??? raporda, Suriye?de y�r�tt�kleri �al??malar? durdurmak zorunda kalabileceklerini duyurdu. One where gay marriage is legal and accepted in more European countries? If France can do it…. To be seen no more… Politicians aren’t getting it right, too many pain in Europe, lack of human right in country like Greece. Haha.. They absolutely do not have a clue what they should do, they just leave the solutions for the next government… For the moment all they do is give great inspiring speeches and keep the global elites happy by bowing to their demands, selling out the citizens who voted for them giving them the power to rule, and of course the “European Dream”, if there was ever any….!!! vision? you must be joking…..they are either shortsighted, presbyopic or blind.their only goal is power or profit….or both together. I think that their vision get`s lost on the way.. political compromise, pacts, briberies, personal interest, power, lobbings etc. They have a vision of modern slaves! If an EU body should serve as a “European Government” Mrs Merkel, that should be the European Parliament that is elected by the people and is accountable to them. Not the EU Commission that is unelected and accountable to no-one!! But of course what do you expect from our leaders today, that want to get rid off democracy and make it easier for them to rule us? The visions I scent with EU leaders is totalitarianism. The talk about “human rights” is a distraction, apart from the fact that the attempted sacralization of human rights by itself is already totalitarian. There is no such thing as a benevolent dictatorship which the EU tries to become. The question is, do we need yet another vision from a government? “Away with the whims of governmental administrators, their socialized projects, their centralization, their tariffs, their government schools, their state religions, their free credit, their bank monopolies, their regulations, their restrictions, their equalization by taxation, and their pious moralizations! The real question is : Do we have leaders ? I see none. Bring me back Jacques DELORS please. Marco Messina,well done! Do WE HAVE LEADERS? A Europe with a sense of Pride, that makes us proud, and not this so called Union where member states have a small minded, self centered, miserable attitude. They will and we will all pay the price for their mediocrity and lack of vision. China, Brasil, India and even the US will eat us alive. A Europe, where human rights are NEVER compromised! Have leaders IQ’s dropped to the point of not getting the fact that in a globalized economy the critical mass does matter, that union does matter…..bahhhh I am sick and tired beyond belief…..
1. The “European Union” de facto seased to exist in May 2010 when it turned against the peoples and states of the Periphery; now, it is a clear West European Usurers Corporation. 2. The European Union started as a coalition of EQUAL member-states with COMMON values (DEMOCRACY, HUMAN RIGHTS, WELFARE STATE). What has been left of them now? None of them comes true after the coordinated assault of the international usurers gang against the Hellenic Republic and its citizens that started in May 2010. 4. In order to have a vision for Europe, a leader should consider Europe outside the prisma of his/her national origin. This is not the case regarding Gauleiter Merkel (referendum? Verbotten for Greece! November 2011), Chancelor of the 4th Reich; nor for Jose Manuel Baroso, her’s ordinance boy. David Cameron seems more realistic to the situation that transformed undemocratically, the then “European Union” into a German-centric empire: Europe a-la-carte may rescue partially the vision of Robert Schuman for a United States of Europe; however, everything depends on how the bloody German nation would react to such a development: should they follow the nazionalist path of their anscestors (Bismark, Franco-German War 1870-71; Kaizer Wilhelm WW I, 1914-1918; Hitler, WW II, 1939-1945) game over and one more bloodshed to take place. Up to date, there are no signs that the 4th Reich would act differently. Therefore, the case is how to deter it from causing more damage to Europe and contain its force within its nazional borders. Strategy of deterence and containment for the main ENEMY of United Europe: neo-nazionalist German political-economic elite. Do you realise that by asking this question in the first place, it indicates Europe and it’s leaders do not have a vision, otherwise they would not be asking, would they? Second: Why is it they don’t want to tell us what it is they are planning for our future, in detail, and how they plan to get to the place they want for us all to be citizens of? Mot importantaly, who uses the world bummer to advertise on a European website other than an old American. Now why would old Americans have anything to do with questioning or supplying a website for Europeans to voice their opinions? What I want for Europe certainly is not what we have got or are being told we are getting. Feeding the world outside Europe whilst bringing our own states to poverty and hunger is a bad joke to play. Whilst at the same time you import masses of immigrants from other continents to work for less than adequate wages in order to reduce our standard of living is madness. I wonder of this ‘collective’ leadership madness, we are seeing, is something to do with the LHC? Either that, or, somehow we have someone beating a drum of devastation whilst we are being kept in the dark as to who the culprit is. we need an end to the eu once and for all. In case no one has noticed, the UK is not part of the Continent of Europe. We are an island nation. Most Country’s in the EU are, “Strapped for cash” and I wondered if the amounts that each pay to the EU if that happened to coincide to the amount they have paid to the EC/EEC/EU over those years. Ah you’ve guessed! Mr Cameron wants looser ties to the EU, allegedly, where-as the EU Leaders want closer ties. Long before the UK joined the European Community in 1972 our House of Lords debated the proposal towards a “World Federation”. That would not work either. I do wish our alleged Leaders would look to history before they try to put different Country’s into one pot. The seven agreements, ‘Treaties formed at Locarno went to the wall, having been signed 16 October 1925 and formally signed in London on December 1. Next the Kellogg-Briand pact 1929 and then the Hoare-Laval Pact 1935, yet that didn’t stop the War in 1939-1945. It wasn’t too long after that War, that the EC/EEC/EU came into being-if at first you don’t succeed comes to mind. We joined -without the people’s consent in 1972. When the EU embraced the 16 Mediterranean partner countries from North Africa, the Middle East and the Balkans, created in July 2008 as a relaunched Euro-Mediterranean Partnership (the Barcelona Process) in 2008, when a plan to create an autonomous Mediterranean Union was dropped”, we then started to read about the Arab Spring, “SPRING”, (“Support for Partnership, Reform, and Inclusive Growth.”) Sadly we know what has and is still happening to those Country’s involved now. When will the people of this one World, learn? We can’t even understand what people of other Country’s are saying, and I would have thought foreign languages is a must for all Countries. All very sad. Their vision is to complete the abolition of democracy and complete the transition to centralizing all powers in the hands of the Eurosoviet Union. My vision is to abolish the EU and have an exclusively Economic Community. In their vision, any path that deviates from their goal isn’t accceptable, so they are not democratic. In any democratic structure, there must always be at least two choices. And if ‘less integration’ isn’t available as a choice, the whole construct is by definition undemocratic. Not for nothing I refer to the EU as the Eurosoviet Union with its constant harmonization of everything and stamping out diversity wherever it finds it. In their vision, we need ‘more free trade’ which will mean more jobs disappearing to low wage countries. In my vision, we need an Economic Community that will discriminate against non-European countries with low wages and lack of workers protections. Tariffs need to be slapped on Chinese products. So far, the Euro has enriched the rich, shrunk the middle class, caused a plummet in the median wage, increased unemployment and impoverished the poor. And they ‘the elites’ want more of it. The European Parliament (Eurosoviet Duma) isn’t actually democratically elected, and isn’t a real parliament. First of all, there is no European demos so there is no European democracy, so these elections are not by any definition democratic. Second, there is no proportional representation and third I did not vote to allow foreign politicians to vote on laws that would apply to my country. For a vision is need justice on every sqmeter of EU. Greatest philosofers say : God give anything to his sons, but they must selfprovide justice for everybody. Think about! Bava Vava you have given me the answer. It is the people of Great Britain and Northern Ireland that are to come out of the EU themselves, for their own three major Political parties all want to remain in the EU-forever. We cannot vote or pay them to do that because the people’s own long standing Common Law Constitution forbid it. So, come the next General election in 2015, the people are going to put their Country before their Political Party and use it as the REFERENDUM ON THE EU THEY HAVE BEEN DENIED. AS they know without doubt all three majoy Political Parties want to remain in the EU they are only going to vote for any Political Party or Organisation that wants OUT of the EU TO FREEDOM to Govern their Country according to their own Common Law Constitution. The Treaties will not apply because there may not be one person in Government that ratified any EU Treaty, our Country will be the new FREE Britain-at last. This si not Europe we need, Europe that Europe would need, and those are not the leaders we would need. European leaders should try to absolve EU from bureaucracy and the degenerated banking system and bring us , the simple people closer and in the long term create a solid political & economic construction instead of this they are making exactly the opposite…. If they have it is far from being visible. What is visible now is that Europe instead of a community of European nations becomes instead a community where abstract numbers and figures need to add up. For all of us who went to European schools around Europe shared the enthusiasm (that was back in the 80ies) studied European law and had the chance to see the implementation of major eu legislation to focus now only in numbers is disappointing. This does not mean however that monetary reforms and desipline should not be respected but from that point to consider member states, nations as spvs to be financed in a form of recourse project financing is a great difference. Nations and counties as opposed to companies do not get delisted nor do they get deregistered if bankrupt, nations still exist in the same place and with the same people that cannot be “fired “…. All that we see from European leaders is twisting all legal basic principles in a way for from what justice would impose. Europe was supposed to unite nations now it appears that it brings people apart. Space cannot belong to a border, a religion, a flag or any symbolic sign ignoring the power of a unified vision towards a proper interference of discrete spaces we call nations. Political space cannot be seen as an integral of slices of space-times. The continuity of time scalars dependent on matter of trade zones, reflects the discreteness of vector wise space – energy regulators that are likely to emerge from insight out as matter at issue occupying time is compressed to an extend where a common cause of a union does not rely on a political color, or an interest based formulation leading towards internal conflictual self consciousness within. Homogenous space does not exist, however, homogenous time does exist. This requires explicitly separating space and time in order to have a functional expanding interference of discrete space/energies via string projections – paths pulling a future objections towards present sets of a subjective goal. The undetermined observation of space as one objects local problems is likely to be solved through a determined subjective agenda – a vision of economy driving society towards sustainability – interfering particles (people and/or other species) /strings (non-profit and/or business relations)/ waves (spiritual elevation of a value). If particles collide properly with a given discrete energy, one gets composites entangling to other composites via strings. If self tend to clustered with self , then relations of independent democratic nations would compress the matter at issue and likely form unions within unions where the federal union cannot be centralized independence wise but only matter wise. The paradox of perceiving space due relativity of time observation despite being an absolute function of energy would always generate tension unless the dissipation of energy is somehow collected and transformed into a union. Right at the beginning of the article is this sentence, “In his State of the Union Address in late 2012, EU Commission President José Manuel Barroso told assembled MEPs that his vision for the future of the continent was not a “superstate”, but a “federation of nation states” working together for a common cause”. It reads well BUT, and isn’t there always a “but”? The centre would always want to DOMINATE all. Each state speaks a different Language, and certainly the British always expect every other nation to speak-yes, you’ve guessed it, ENGLISH. However, back to basics, the whole idea was, and is recorded in Hansard 7th May 1953-not long after the second World War, to work towards World Federation. The United Nations as the Government, and there is also the WHO and WTO. This was of course and still is a pipe dream that will never come to be. We only have to look at the 16 Mediterranean partner countries from North Africa, the Middle East and the Balkans. Created in July 2008 as a relaunched Euro-Mediterranean Partnership (the Barcelona Process) when a plan to create an autonomous Mediterranean Union was dropped”. Known to us as the Arab Spring, “SPRING”, (“Support for Partnership, Reform, and Inclusive Growth.”) In another speech by President José Manuel Durão Barroso made in Cairo 14th July 2011, in which he made clear, and just so you know, that the “European Union has no wish to interfere in Egypt’s internal decisions.” Sadly nothing has turned out as expected, like-wise, with many EU Countries-not just us- are in terrible financial difficulties and always will be as long as they remain in the EU and continue to pay the many billions of currency to it, instead us using it for their own people. EU leaders have neglected Europe and have failed to protect our jobs and social welfare. It is time to have a true European plan for the people of Europe. No company which does not produce nor create jobs in Europe should be allowed to sell in Europe. The whole banking system should be remodeled. Banks should not be allowed to lent money which does not exist. Money multiplication is the main culprit of this economic crisis but nobody has ever talked about it. -Why is this? You Write Band Khayx, “No company which does not produce nor create jobs in Europe should be allowed to sell in Europe.” You would be closed to the rest of the World-and there are indeed many other Countries in the World. “Without vision the people perish” (Jean Monnet). Neither Van Rompuy, nor Barroso or Monti have spelt it out in your video messages. The renationalisation of policy making has eroded the credibility of the European institutions, splitting Europe. There is a scapegoat game going on between Germany and the Mediterranean members of the EU with the EMU being blamed for national problems. Solidarity remains largely national. Support for EU integration among the public is at an all time low. One reason of all that: too many wishful objectives and targets with no vision. Visions depend on leaders. In the current debate about the future of the EU two leaders stand out: Chancellor Merkel and P.M. Cameron. Their philosophies differ. The future of Europe depends on how the game is played on existing ground: Single Market (repatriation or not) and Eurozone (survival and deepening or not). Britain has always been a reluctant European, failing to understand that the EU is a political project. The EU has certainly changed since the British referendum of 1975, but its political finality is still the same that Britain subscribed to; as regards the new element, the Eurozone, Britain has an opt out. After Cameron’s recent speech on Europe a retreat of Britain from Europe has become plausible. Like most Britons, Cameron fails to understand that the Internal Market is a compromise that depends on agreed rules as regards environmental, health, safety, regional and social policies and measures. Repatriating some of these requirements would mean jeopardizing the very Internal Market that Britain wants to keep. Refusing to join the Banking Union, let alone dropping out of the EU, implies a loss, not a gain for British sovereignty. Britain would also forgo the opportunity to obtain the EU solidarity and cooperation that the reduction of its global debt may require. Contrast this with Germany’s position, Angela Merkel says, “We need more, not less Europe”. At present she seeks a fiscal union, thinking more of fiscal discipline than about a “transfer union” – which is required also for a federation of nation states and is actually applied within Germany itself (Finanzausgleich). German citizens don’t want to bail out other countries. Polish Foreign Minister Sikorski said: “We ask Berlin to admit that it is the biggest beneficiary of current arrangements and that it therefore has the biggest obligation to make them sustainable. As Germany knows best, she is not the innocent victim of others’ profligacy.Germany already does provide more financial support to EU deficit countries than it is given credit for. Merkel has been acting very prudently having regard to domestic public opinion and the reading of Germany’s constitution by its Supreme Court. This is the reason why she has at times advocated as well as hindered financial and fiscal union.But the German Chancellor is thinking far ahead of other European leaders. She is adamant that European political union is a condition for a transfer union. That is actually Merkel’s objective (as it was Kohl’s, her mentor), with the European Commission acting as a government and reporting to a strong European Parliament, and the European Council becoming a second chamber. The biggest change since UK accession is that, while the plan to secure a European Germany has succeeded, political change within the EU is driven by Germany (German Europe). As the largest creditor country it has power; if the Eurozone deficit members want to benefit from a German rescue, they must abide by German economic and fiscal prescriptions. However, if Germany (like the other core countries) wishes to preserve its current account surplus, it must finance its borrowers; if instead it wants to be repaid, it must move to current account deficit in order to help deficit countries to adjust. The future of the Eurozone depends on a reduction of the competitiveness gap, with Germany increasing its wages above productivity to boost its income and consumption and raising its inflation rate, and the deficit countries moving in the opposite direction. Transfer of budgetary support from the richer to the poorer countries within the union needs to increase, but must be linked to concrete structural reforms. Finance Minister Schauble knows this. So does the SPD and even Merkel, but German elections are looming. Banking union is “the biggest act of political integration in Europe since the creation of the European Economic Community 55 years ago, bigger than the Euro itself, because it implies a significant encroachment on national sovereignty at several levels.” (Münchau) If a fiscal union is added, there will have to be a Eurozone budget that will be far bigger then that of the EU, including the financing of macro-economic stabilization. Economic convergence cannot be obtained without financial, economic, and ultimately political union. The current crisis has indeed relaunched the debate on political union, for difficult that that may appear today. 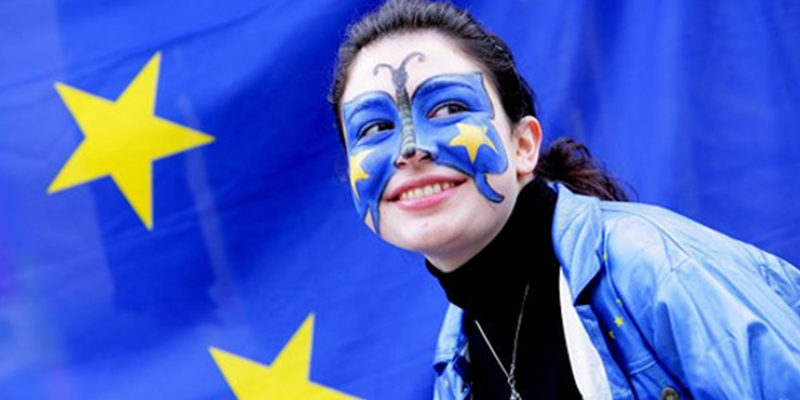 The Eurozone may eventually usurp the EU. While banking Union is the best tool to unite the core of the EU, it will also separate that core from the rest, notably by creating a single market for finance and eventually also for services and labour for the Eurozone countries. A multi-speed Europe with the Eurozone at its core has become inevitable. As the Eurozone develops within EU’s enhanced cooperation procedure, it will produce a single market for financial and other services. A fiscal union would require a budget larger than the current EU budget and focused on new tasks like macro-economic stabilization. Those who propose a budget freeze now, undermining the EU’s strategy, may do a favour to those who believe the Eurozone can become an instrument to overcome the financial crisis and promote economic growth, let alone political union. Without it, the EU project remains a crippled market focused on goods as against services, the economies’ most important part. The Eurozone has the best prospect to tackle the current institutional crisis, notably completing the pieces of the puzzle that were missing at the creation of EMU. Cameron himself has encouraged the euro countries and euro aspirant countries to strengthen the common institutions in a fiscal (and ultimately political) union, relegating the existing EU-UK relationship to the periphery.Britain is still welcome as a leading EU member, but not as a veto-prone black-mailer. Europe’s integration will no doubt continue at different speeds. Permanent European outliers will inevitably lack permanent co-decision rights. The Eurozone Group could further pursue its integration within the EU institutional framework on issues such as tax approximation, labour market liberalization and mobility (including a minimum salary and agreed retirement conditions), immigration, civil judicial cooperation and even defence policy, towards political union. Britain’s alternative is to rest in a second EU circle of neighbours with no vocation, or wish to join the core, allowing it to remain part of the Single Market, but without a voice regarding further EU legislation relevant to it. Like Switzerland and Norway, this will also be Turkey’s lot. “If we are in the same room as, say, the UK or Sweden, this is something I can explain to Turkish public opinion” – Turkey’s President Gul stated. To conclude, the vision of a European federation of nations depends on the survival and development of the Eurozone and on the deepening of a first-speed Europe. If things unfold as outlined by the President of the European Council last year, there is hope. But to overcome our current institutional and financial crisis, we eventually need to reformulate the sovereignty of the Union by looking at America’s experience. When the US was a confederation of thirteen States based on unanimity and national contributions to a common budget, the system failed. When it replaced it with a federation based on majority voting and on own resources collected through federal treasury bonds, the system worked. While the EU should not and will never be a unitary state, it would be well advised to have a closer look at America’s experience. I read the words you have written Corrado Pirzio-Biroli, but you have forgotten just how many Countries in the EU are bleeding-probably to death-at this moment in time. Do you for one moment really think all these “hurts” that are going on at the moment can or will be forgotten? Had leaders of this Country explained to the people exactly what the EC/EEC/EU was to be and to become in 1972/3 the people here in the UK would have said NO-write large. That is the downfall and cowardice of our recent past and present Leaders of the United Kingdom. How can any ordinary British person like/respect/embrace any British Politician? The were not told and what is more, they were quite deliberately lied to. I doubt the EU will remain as it is today, for looming in the back ground is the thought of World Federation and that was even recorded in the UK Hansard and debated in the House of Lords 7th May 1953, long before the date we joined the EU Community as it was at that time. All Mr Cameron has done since he came into power is put forward EU Legislation. Especially disturbing is the dividing of the Country and Nation of ENGLAND into EU REGIONS although none of THAT was explained to the people and not as such put in his Manifesto. As for Jean Monnet from 1960: “One has to remember where we were in 1950. It was only five years after the war, and the misfortunes wehich Europe had gone through were still there for all to see. For Europe to rise again, it was essential to end Franco-German rivalry and, more-over, to create the conditions of large-scale production which would enable the Europeans to improve their living standards”. And so his speech goes on and look where we are NOW. The people are hurting but perhaps in a different way to those long days ago, because they had the brief smell of FREEDOM, but now find themselves trapped in a way they are no longer used to. And what is happening now-is sadly only the start. Yes, we need to gradually develop a political union with common foreign , energy,military and common policy! We need a federation of European states! We could do with some effective and efficient leadership. The goal of the project Europe is clear and known. Hence the vision is not realy the issue, rather the roadmap getting there and the honesty of the Member States to adhere. And that is why Mariana Manolova why the people of the United Kingdom of Great Britain and Northern Ireland cannot remain in the European Union. We have to be FREE from foreign Rule, we have our own Constitution, and it is to THAT the people will turn for as the song says, The British newver, never can be slaves. The European union has grown beyond its purpose. The trading block ,the supposed ease of trade has turned into a government on a European level. The EU is at the center of all decisions made by national governments , trade , immigration ,farming and fishing are all almost completely controlled from Brussels . The euro has been a nightmare for southern Europe , their economies wrecked by economic policies and interest rates that do not allow flexibility . The huge loans given before or on ‘ascension’ giving the illusion of growth were just a false boom which of course were followed by the big bust. Street walker, you have said it for me too. Thank you Ann , there are many who would agree with us ,hopefully they will make their voices heard. repeal the European Communities Act 1972, and then repudiate ALL EU Treaties via the Vienna Convention on the laws of Treaties. The REFERENDUM we will have is called the ‘General Election’ and it takes place in 2015. Does the EU have a Vision? In my opinion it hasn’t. The Treaty is too much of a heavy, long, abstract and intellectual text as to define a Vision people can fully identify with. With the EU lacking a Vision it is evident that EU leaders lack as well a Vision for Europe. In my humble opinion it is highest priority to define an understandable and tangible European charta of values – the Vision for Europe. It must be defined and approved by the people, and not by a selected group of well intended, highly intellectual, politicians. Young people looking for opportunities want an open Europe where we can live, learn, work and trade without being restricted by nationalisms. The EU has helped us move in this direction, but there’s still a way to go. We need further integration and more courage for openness. If the nationalists block this progress, talented people will seek their opportunities in the USA instead of Europe. Open Europe? YES! Great idea. However, it can not be to the benefit of one nation (neo-nazionalist German economic-political elite) and to the expense of the periphery. If you like to see the dream of open Europe come true, then vote eurosceptics and nationalists at the periphery and left-wing parties at the center: this may lead to new dynamics that may deter the German nazionalist threat against a united federation of EQUAL member-states.